Why did I pick this card for today? 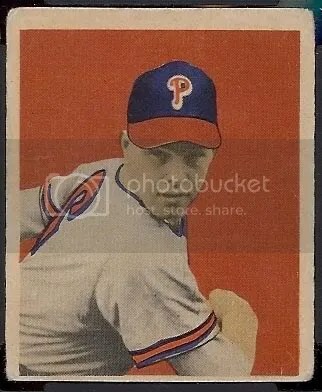 Only because Robin Roberts played for the Phillies when the Yankees beat them in the 1950 World Series. The Phillies had a great season and I know they can make it back to the Series next year. I’ve been watching the Phillies since the mid-90’s, and the group of players they have now are one of the best.